In my YouTube video, Massive Japanese Horror/Cult DVD Lot, I stated that I'd eventually make another video chronicling the rest. Well, unfortunately my Nikon likes to get pissy with memory cards so I'm stuck until I get a USB card reader. Once I do, new videos will pop up, though since I'm patiently awaiting the weekend here's another "easier" entry. Concerning YouTube, I'm still getting much appreciated subscribers and friends. Thanks! 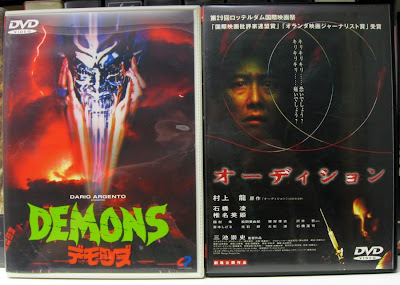 Here's my other Japanese DVDs in picture form from my trusty Canon. The most interesting story involving a particular find has to be Versus, which I snagged at a local swap meet years ago. 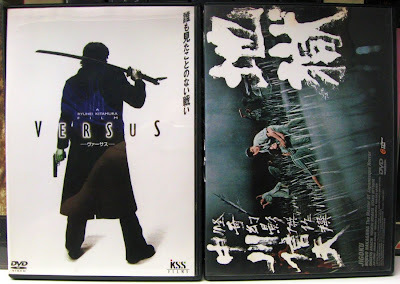 Way before Tokyo Shock/Media Blasters released their DVDs stateside. This guy who'd always seem to bring in one curiosity on DVD, usually Hong Kong discs or esoteric bootleg concerts, had it one weekend. I expected a long explaination of its origin and a high price; however, much to my delight I walked away with only $3 less in my pocket. It's the real Region 2 KSS Films DVD with all the inserts and definitely the coolest disc I've picked up in that situation. Damn thing was just a few miles up the street! Still have no idea what the deal was with the seller practically giving it away. Everything pictured, all very sweet arse finds. 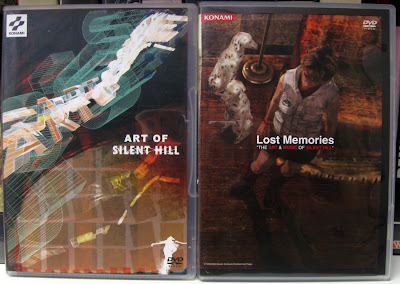 Art and Musick of Silent Hill... consider me jealous. Nice pick up Versus. Do you remember when you first saw it? I was floored and speechless by its awesomeness and soon picked up any Kitamura flicks I could fine...which led me to Azumi! I love Versus can had the same reaction. 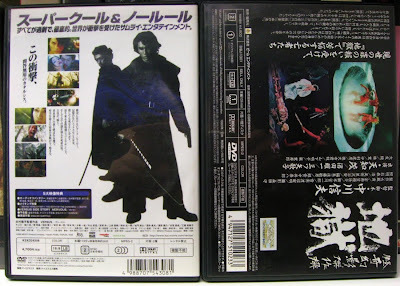 Though I didn't care much for Kitamura's Godzilla Final Wars or Midnight Meat Train.